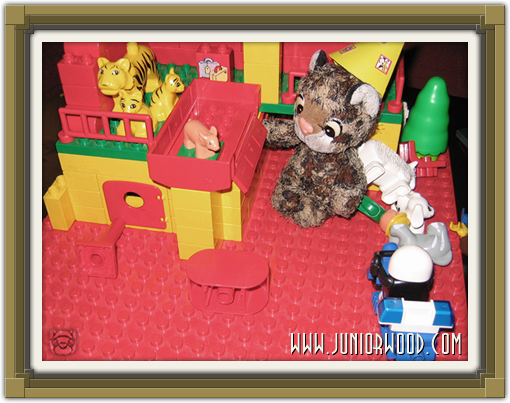 Seth's Birthday Party - Blog #2 | Juniorwood! Ewwooo! Junior's here again, taking a little timeout while some of the guests (uncle Rens, aunt Patricia and uncle Wouter) are playing games on the Wii. Seth is playing with some of his new toys. Uncle Martin and aunt Angela just arrived as well, so it's a big crowd here now! The biggest bummer is that Junior has NOT received any presents yet! Just nice rolls, some drinks and other yummy foods. Junior will eat and drink some more soon, the pictures will be up soon, probably tomorrow. Bye bye again! Junior with Seth's new DUPLO toys! Some of our visitors, aunt Mogway and uncle DeKDeS were not present yet. From left to right: uncle Rens, aunt Patricia, Sethcat, daddycat and uncle Wouter! 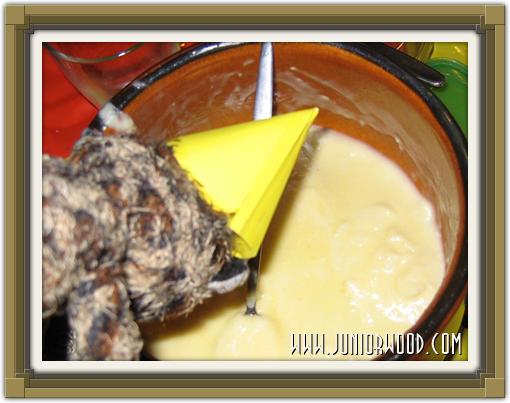 Junior taking a dive in the cheese fondue! Junior and some new friends. 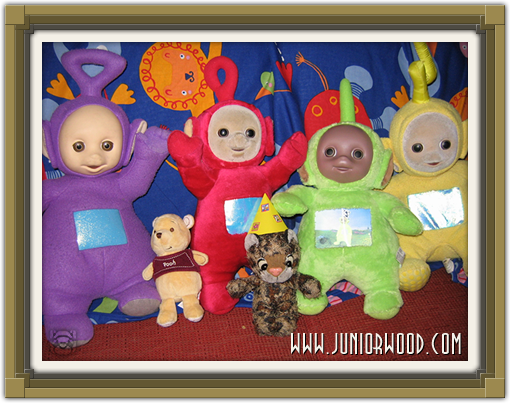 All the Teletubbies. Dipsy (the green one) is new. And Winnie the Pooh is new as well! Ohhh yummm home made chocolate cake! 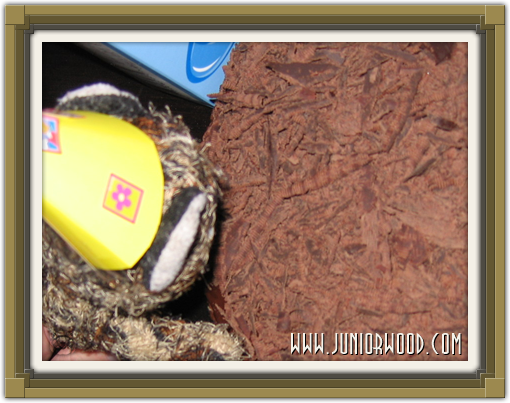 Junior loves chocolate!